There are many skincare ranges out there - I should know, I've probably tried most of them over the years... I know everyone's skin is different so it can feel like a real triumph when you find the skincare brand that suits your skin. 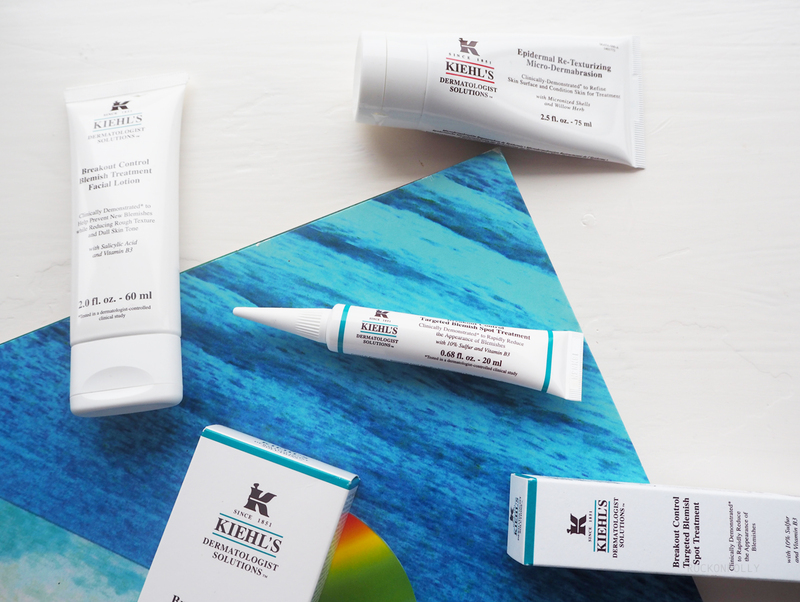 I feel quite lucky that my blog has introduced me to a skincare range that I truly believe in and can see the benefits from. 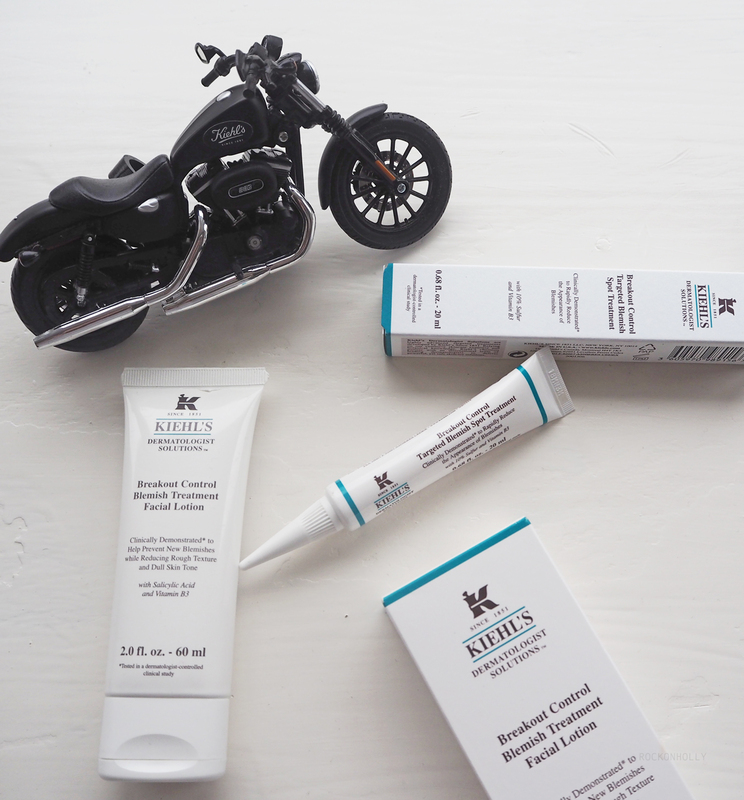 I first discovered Kiehl's last year and their Midnight Recovery concentrate is now a firm fixture in m night time routine. 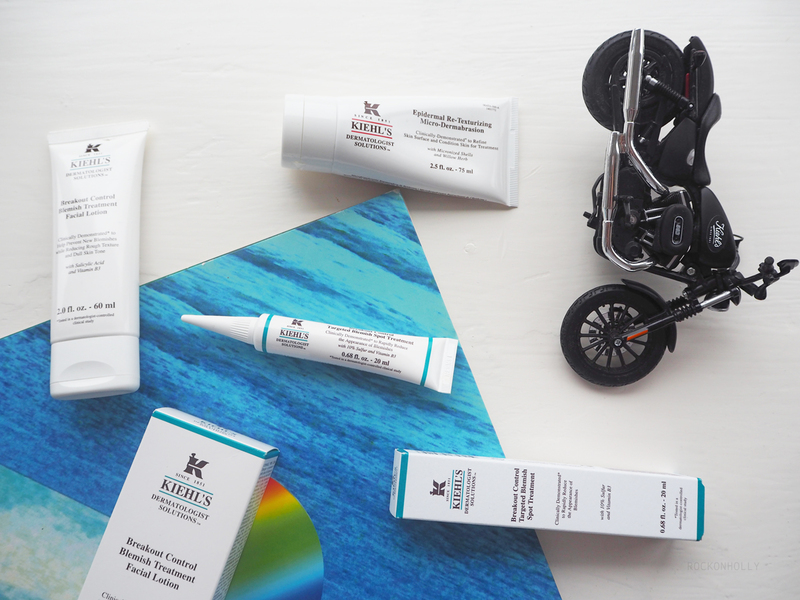 My next addition was their Ultra Facial Cream, a lovely lightweight moisturiser which I use daily. 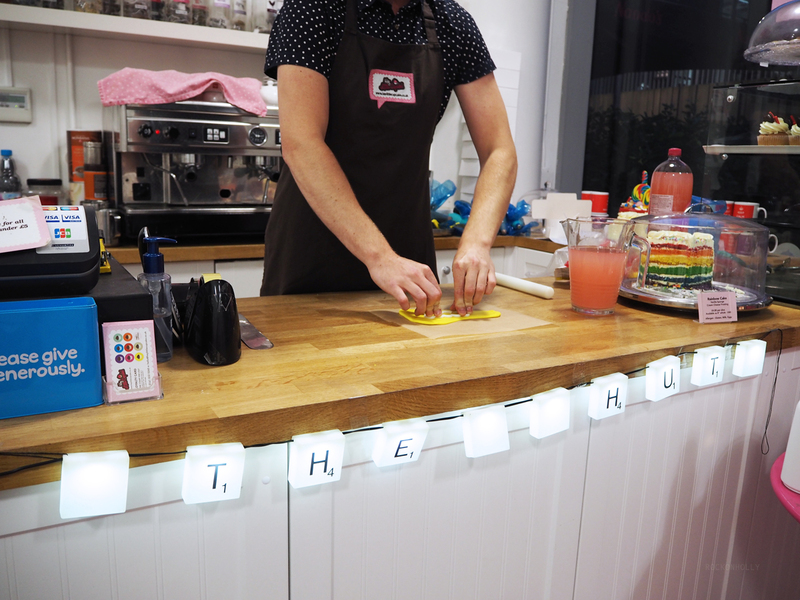 However, last month was super hectic... My sister and one of my close friends got married, there were Hen do's and family meals to attend, plus work was busy-busy as usual... Unfortunately, by the end of October this had taken it's toll on my skin and I was feeling slightly run down! Every pore on my oily-combination skin was crying out for help and my usual skin care routine just wasn't cutting it. So let me talk you through my current skin care routine! Day Time: The breakout control Facial Lotion has replaced my usual light moisturiser. This lotion is hydrating, but non-greasy. It helps to fight spots without drying out your skin. This is fine for day to day use. Both of these creams are lovely and lightweight. I wouldn't say that they are super strong - you would need to allow 2-3 days to see visible results. That said, I they do definitely work without drying out your skin. 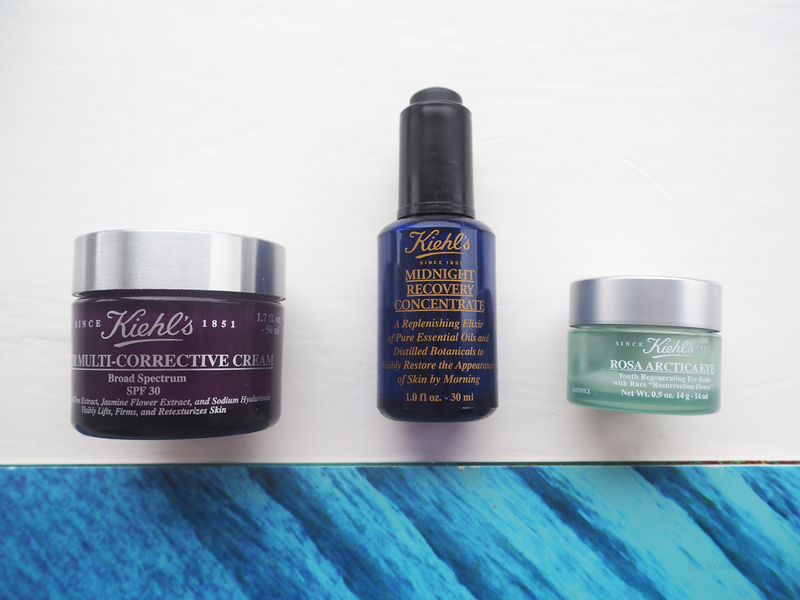 To work alongside these, I recently treated myself to the Kiehl's microdermabrasion treatment. I find that the cause of my spots is often dead skin, make up clogging my pores and generally large pores. The microdermabrasion treatment can be used 2-3 times a week and helps to refine your skins surface - even claiming to get reduce fine lines and wrinkles! Win win. I find that this really helps freshen up my skin! Just be warned, it can leave you looking fairly pink after use so maybe warn your other half before you use this one! Once the Breakout facial lotion starts to do its job, you may find that you need a heavier moisturiser to hydrate and plump your skin. 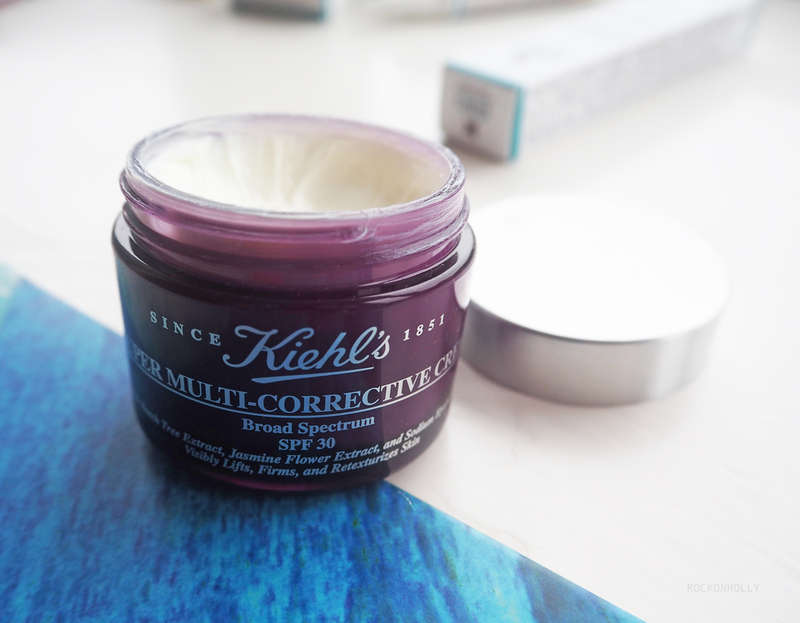 I am currently trying the multi-corrective cream which aims to smooth and retexturise skin. As I'm nearing my next birthday, I'm interested to see who this one works out...!! So far, it goes on really nicely. It is much richer than the Ultra Facial Cream (which is my all time fave) so I often use it in the evening after I've applied my Midnight Recovery concentrate. If there's one product I would highly recommend, it would be this serum! You can literally wake up and see the results! I'm on my second bottle and have just ordered the matching eye cream! 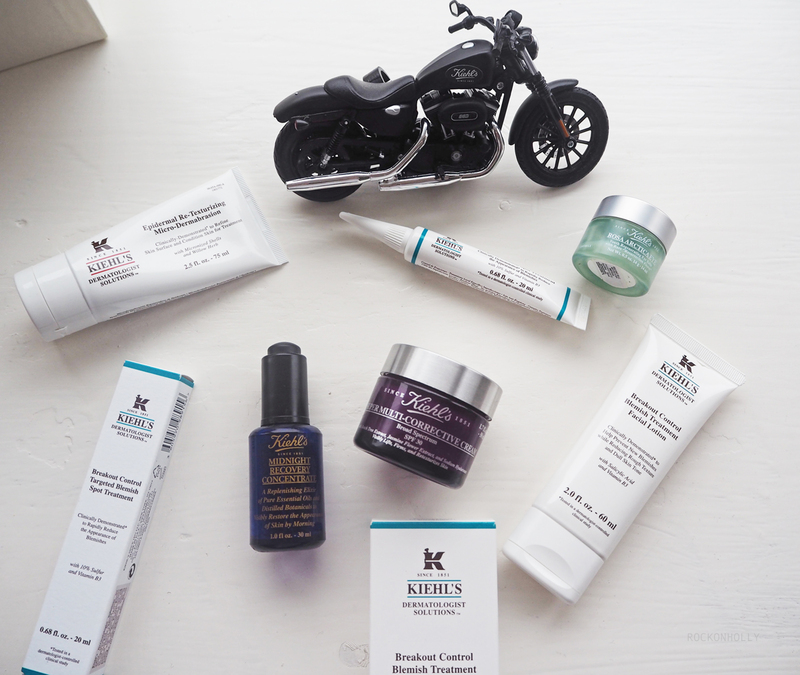 If you're interested in trying any of these products then head over to Kiehl's now to save 20% off in the Black Friday sale! *The acne breakout treamtment products were PR samples. All views are my own. So, a Baker, I am not... 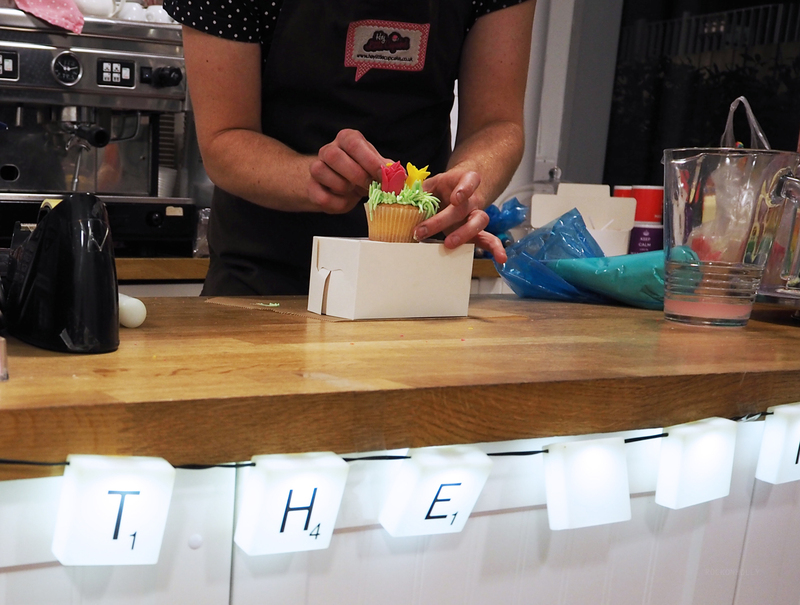 However, after being HOOKED on the latest season of #GBBO (weren't we all) I was really pleased to be invited to a cupcake decorating session at Hey Little Cupcake by The Hut group! 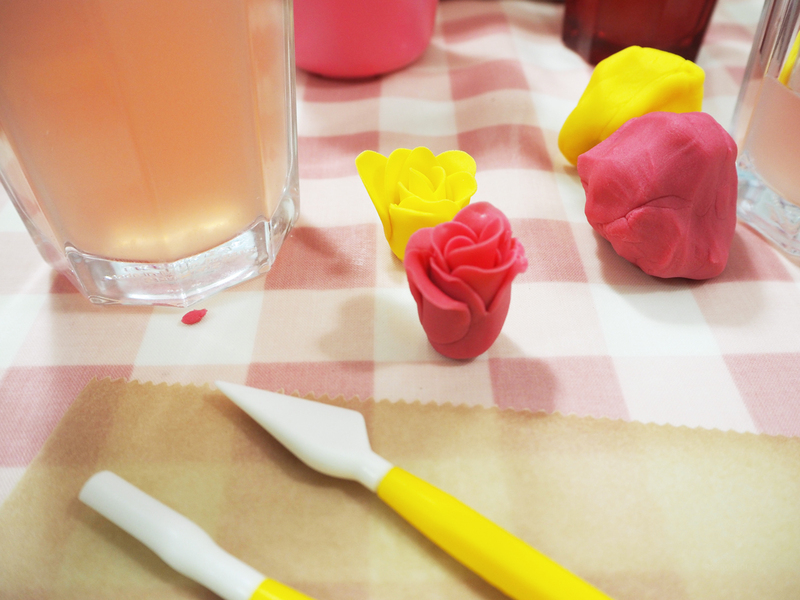 Our first task was to roll up fondant icing to create the flowers for our cupcakes. It was amazing to see how some clever rolling and folding could easily create these floral decorations! 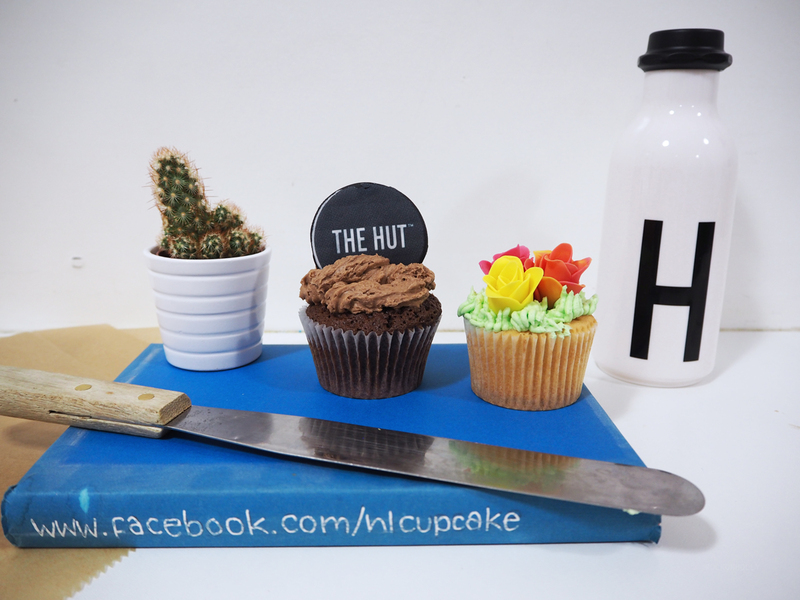 We then hand piped green icing onto the top of our cakes to create a grassy base. 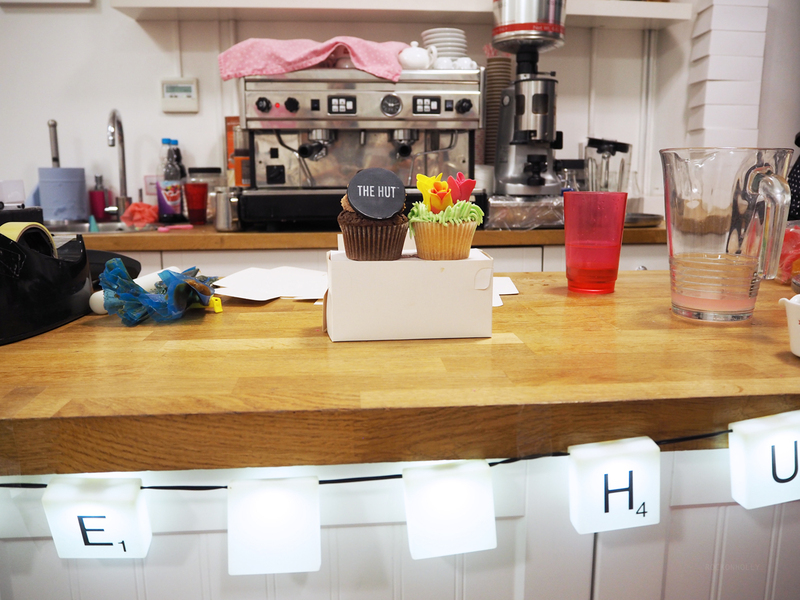 the flowers were then placed on top to complete our cupcake garden. 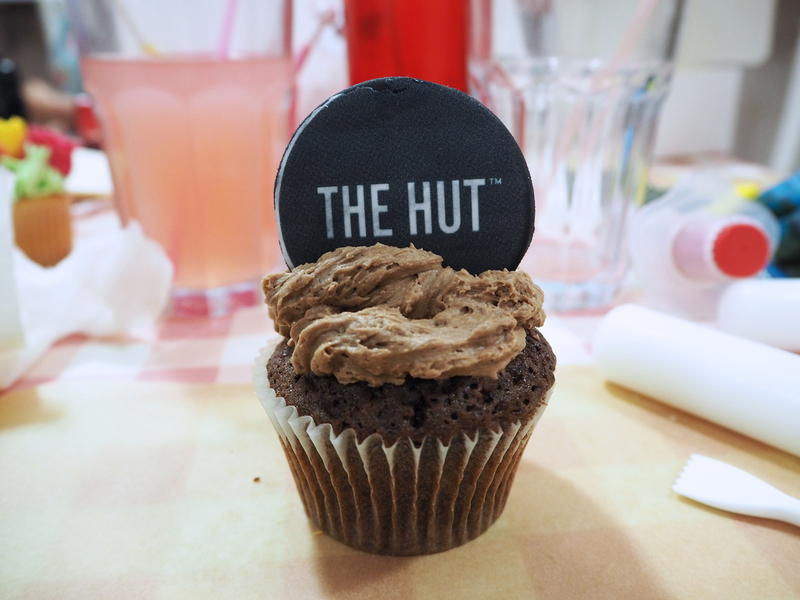 On display in the store were some of the beautiful pieces that you can buy from some of the brands available under The Hut group name. Gorgeous homeware, accessories and lighting... I came away with a funky Bucket Mug from IWOOT. 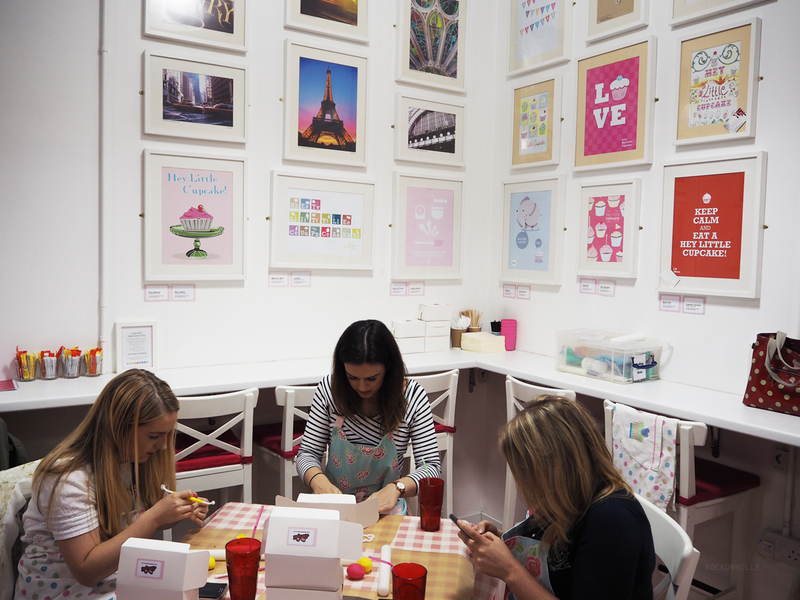 Hey Little Cupcake are currently organising Christmas themed decorating classes. 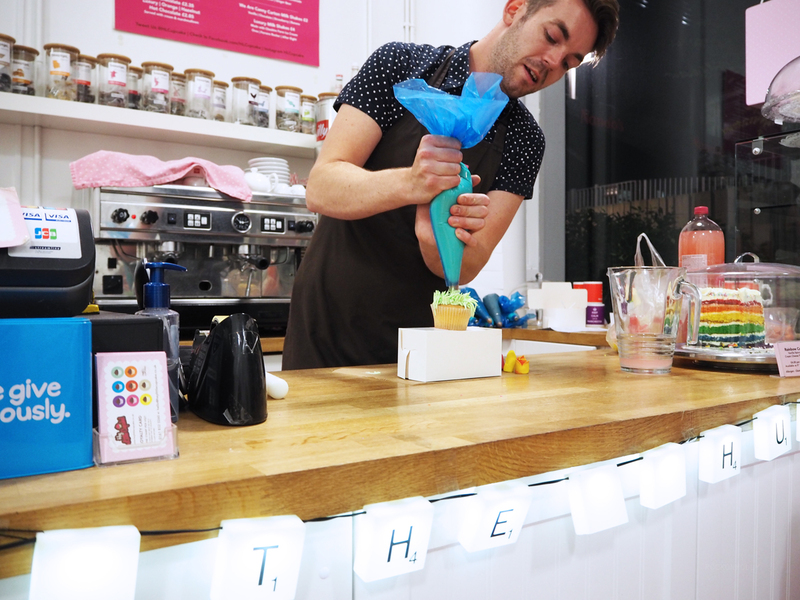 So if you're planning on heading into town to visit the newly opened Christmas Markets, why not tie it into Afternoon Tea at Hey Little Cupcake too for the a fun, festive afternoon! So, earlier on in the year, I was introduced to the new Stila SS16 collection which included the foundation of dreams - the Aqua Glow Foundation. This was exactly the kind of lightweight foundation that I needed for day to day use. It's not too heavy, but gives great coverage. Perfect for work! 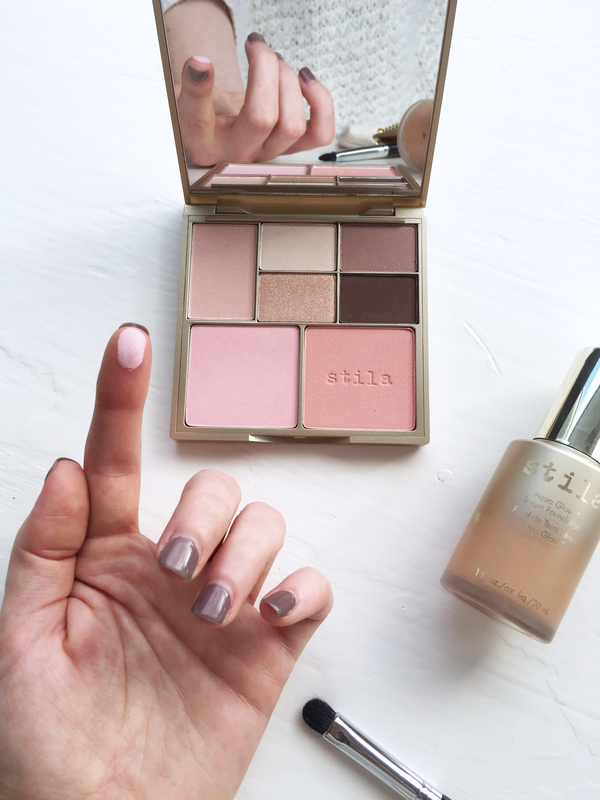 The only thing that could improve my love for Stila even more, is the addition of their new Perfect Me beauty palettes... 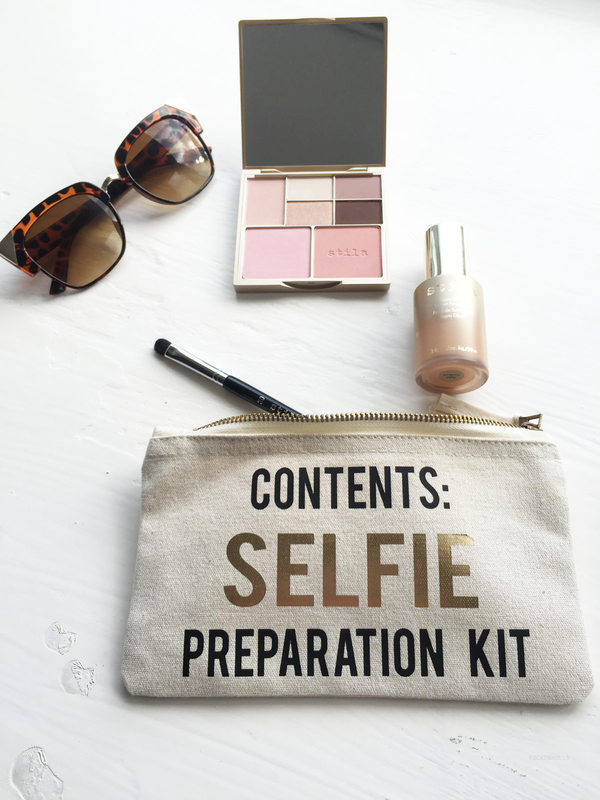 These pretty, shimmering kits include 5 eye shadows and 2 blushers, specifically chosen to complement your skin tone. The palette that I have to show you here today is the Light shade. I chose this as I loved the pretty pink cheek colours that were included. However, you could easily use a lighter palette for daytime and a darker shade for a stronger, evening look. 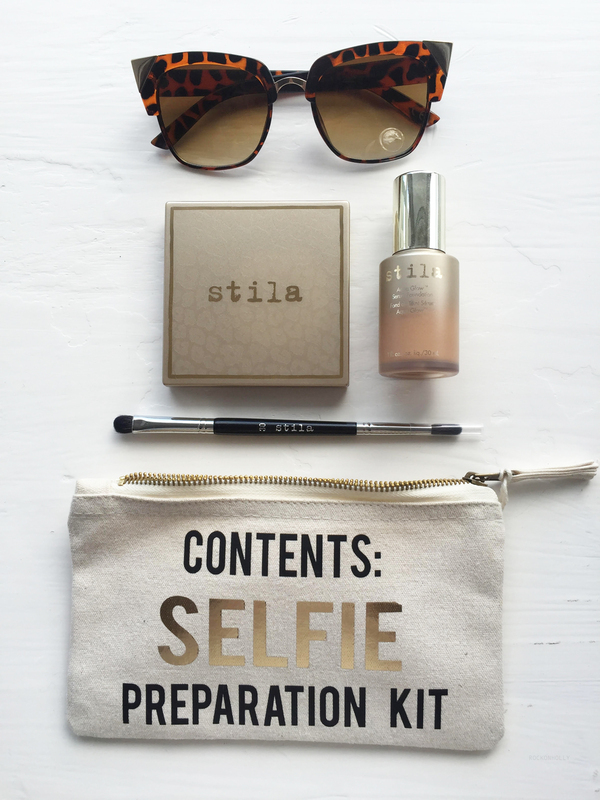 Details: Light Beauty Palette by Stila, Aqua glow Foundation by Stila, Selfie Preparation Kit Make Up bag by Rock On Ruby, Sunglasses - ASOS. Despite the palette being named "Light" the powders are really pigmented so you can really create a natural, glowy look without looking washed out. The eye shadows are just gorgeous. I love the shimmer shade as it really catches the light, whilst you can create shadow and depth with the darker colours. Another benefit of these beauts is that as they are quite rich, you don't need a primer before applying. 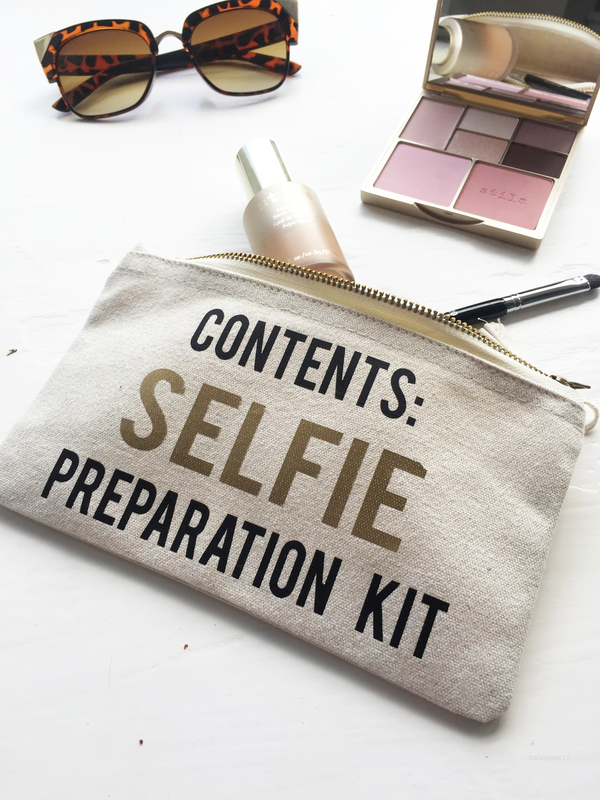 Of course the perfect make up bag to store my glowing make up products is the Rock On Ruby Selfie kit! 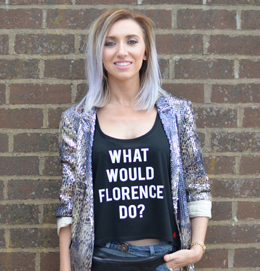 We've recently updated this design for A/W to include the gold Selfie text - the perfect gift for any glamazon! 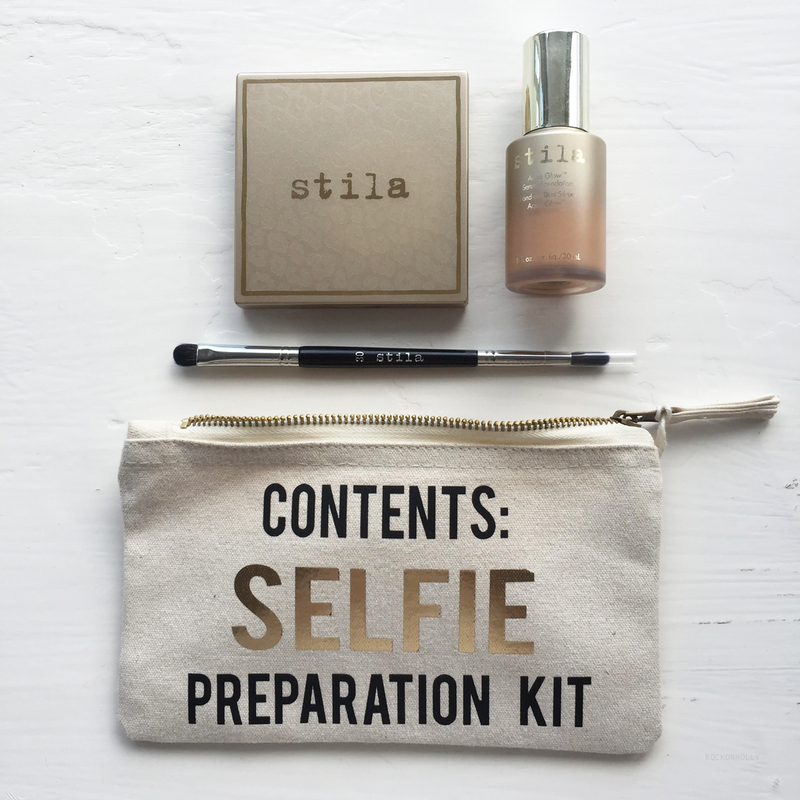 Have you tried any Stila products yet? What's your go to Beauty palette at the moment? 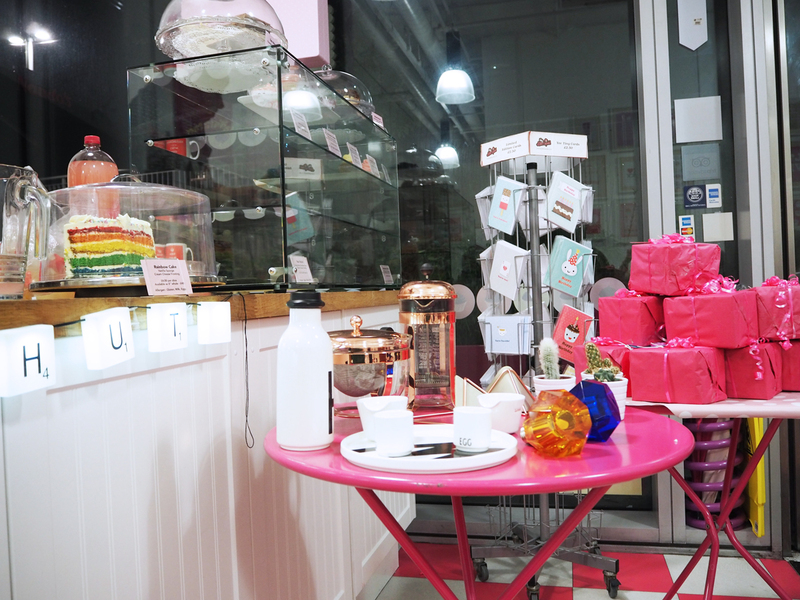 So...yeah, I kinda took an unplanned, blogging hiatus! This year has been so, so busy (totally in a good way) but sadly, it has meant that I've not had as much time to spend on "Rock On Holly". In the meanwhile however, I've been pretty lucky this year to be able to have some amazing trips! I've been to Ibiza, Canada, Ireland and Copenhagen. 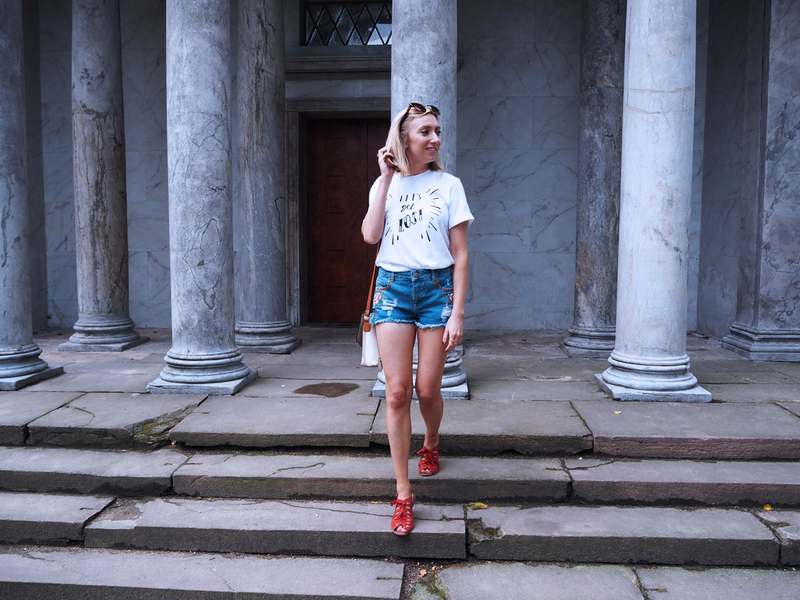 This outfit post was a little look taken from Bank Holiday weekend, when I took my boyfriend away to the Danish capital. The trip was a pressie for his 30th birthday. Graham whisked me away to Iceland for my 30th, so I had to try and do something equally spectacular! I don't think I matched his effort, but we still had an awesome time!! 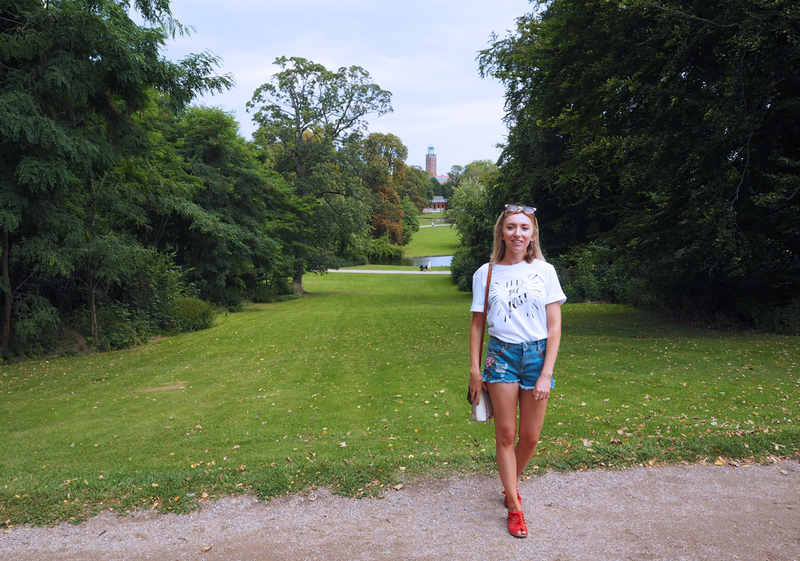 This beautiful landscape was part of the park that joins onto Copenhagen's famous Zoo. From here, we got a sneaky peek at the elephants, flamingos and cute little monkeys that were running around! 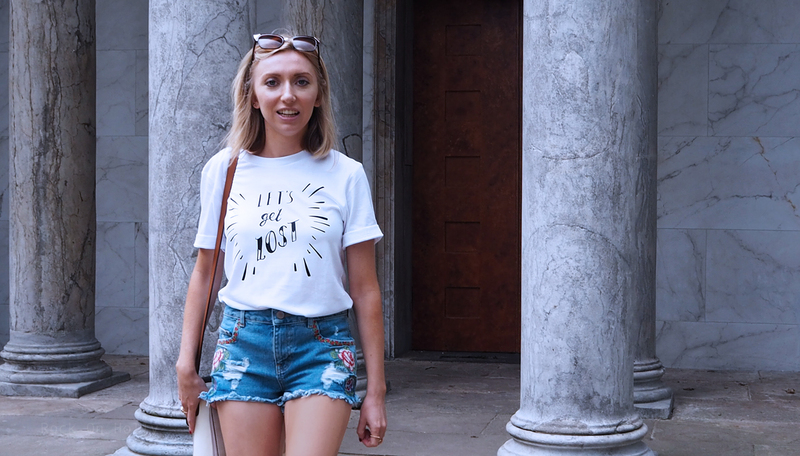 Hope you like the slogan tee! What adventures have you been on this year!? My New Years resolution this year was to try and take better care of my hands... Working with hot machinery at work and typing away on the computer, can leave my hands quite dry, especially around the nails. One thing we always have at the sink at work is a Carex hand wash. No joke. We must go through a bottle every few weeks and if we run out, all hell breaks loose! 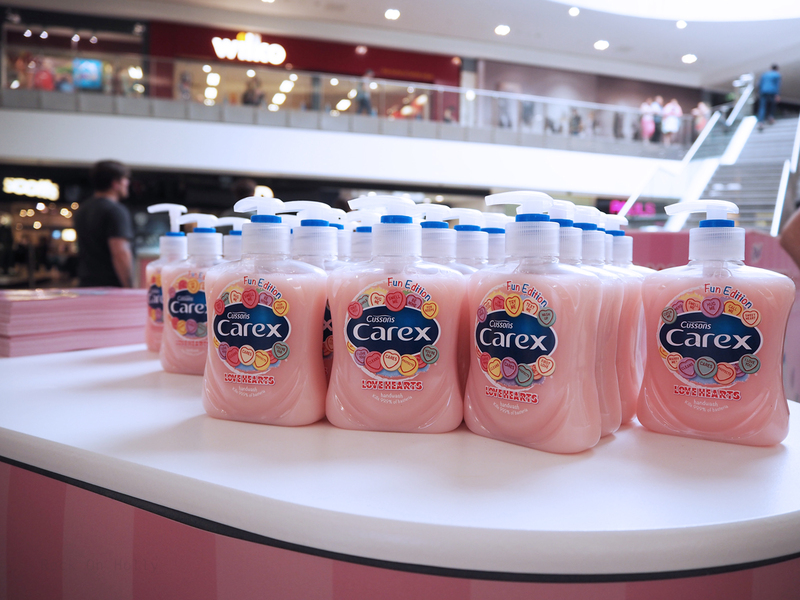 Carex has long been our soap of choice as it not only removes dirt and kills 99% bacteria, but it literally cares with every wash. 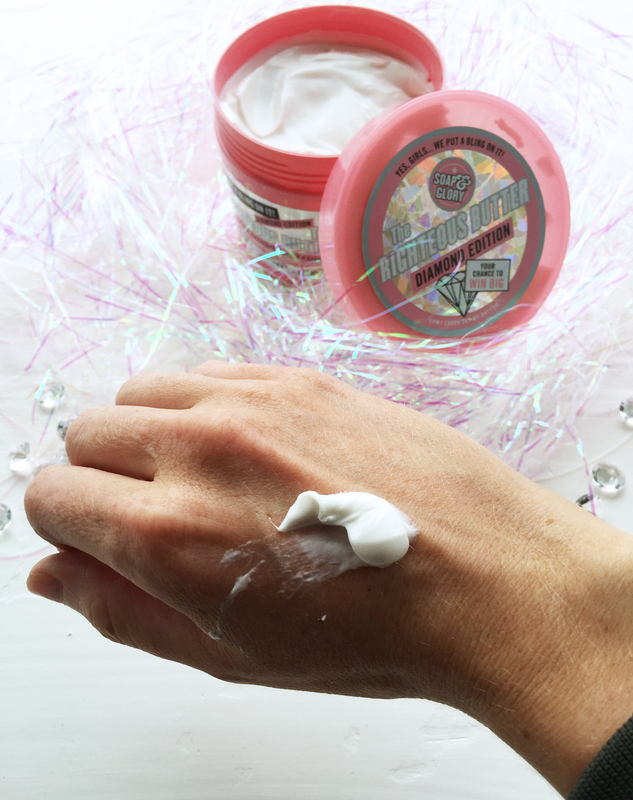 Your hands feel lovely, soft and fresh with every use - which is great for me as I can't handle our clothing and accessories at work with greasy hand cream on. So, let me tell you all about the exciting NEWNESS which Carex have just released!! Love Heart. Hand Wash. 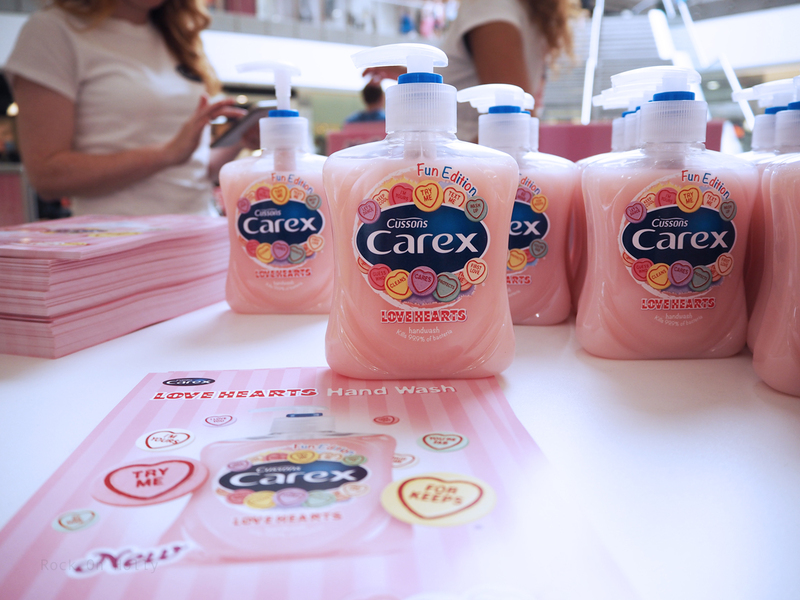 Yes, this fun hand wash is inspired by the iconic British sweet and it smells just like it. 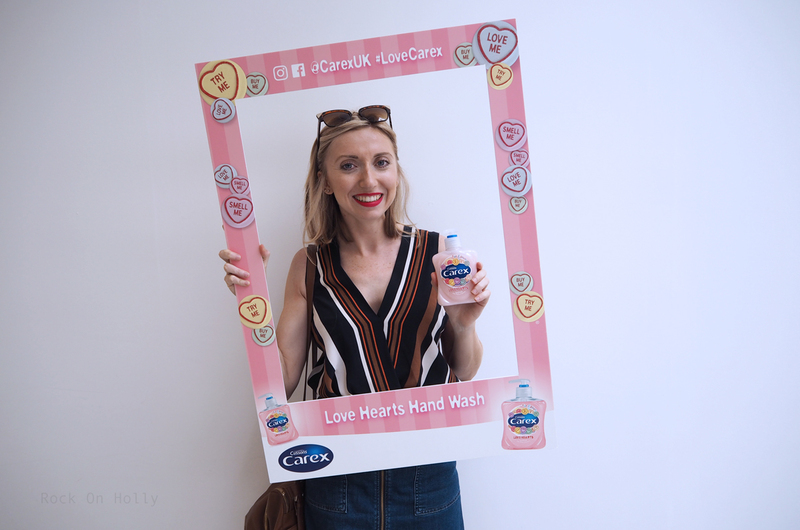 The sweet soap has literally just launched this Summer and joins other fun scents from Carex that include: Bubblegum, Strawberry Laces, Coca cola and more! 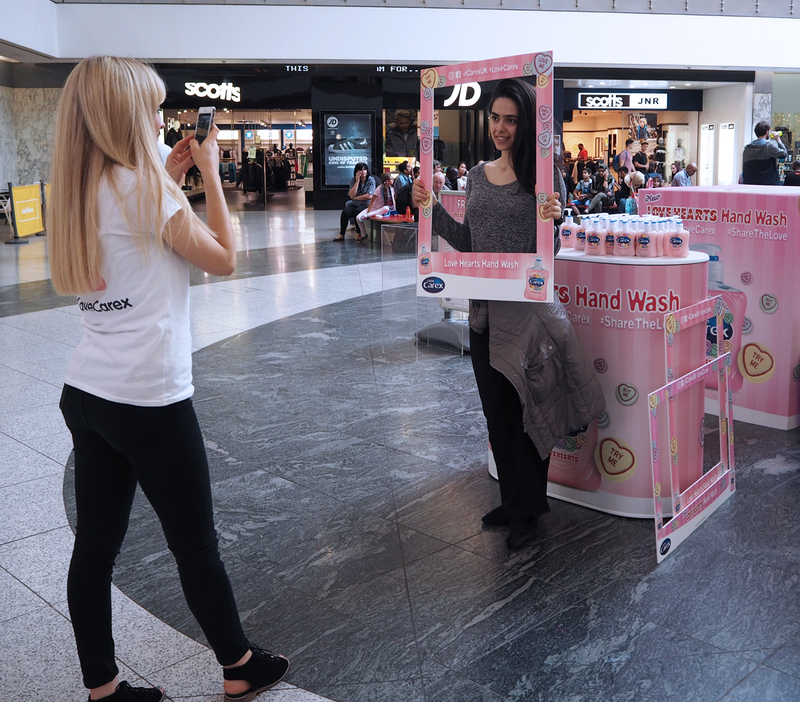 I was kindly invited down to the Manchester Arndale by Team Carex, to see the launch of the handsoap and get involved in some serious selfie action!! 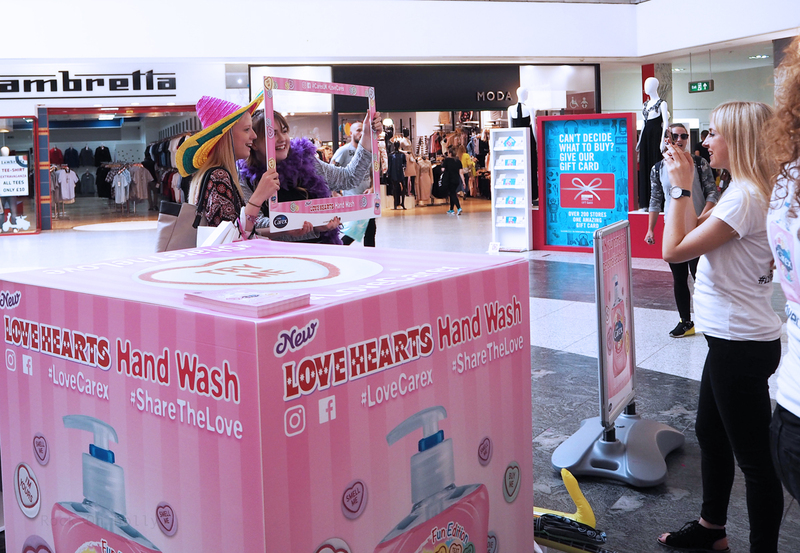 (My fave) The guys had a cool, pop up stand which shoppers could get involve in, share photos and receive a free hand wash. You can check out some of the pics that were taken online by searching the #LoveCarex and #ShareThe Love on instagram, Twitter and Facebook! 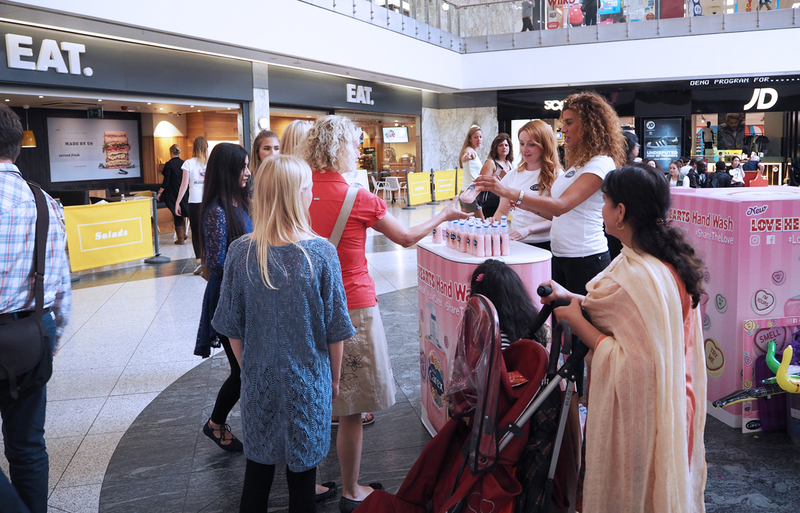 You can win your very own, personalised Hand wash! 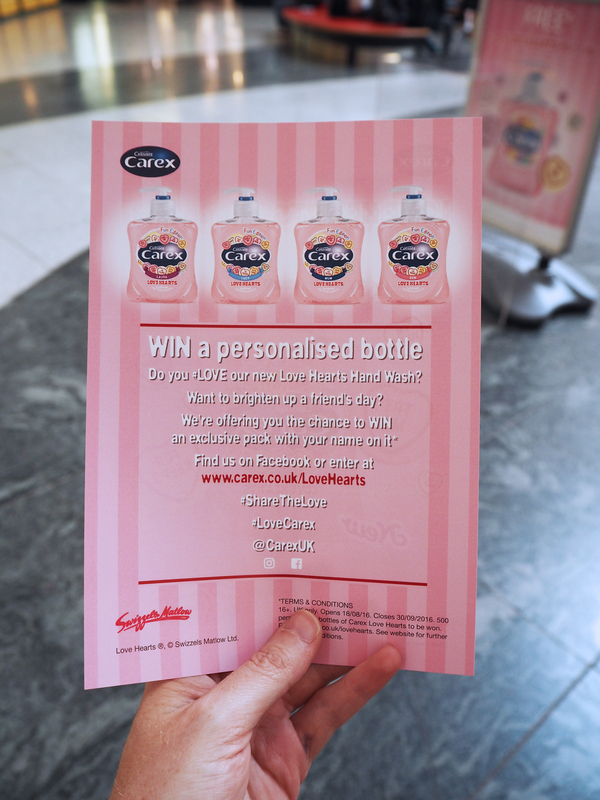 Head over to the Carex site and simply enter your details to be in with a chance to win. 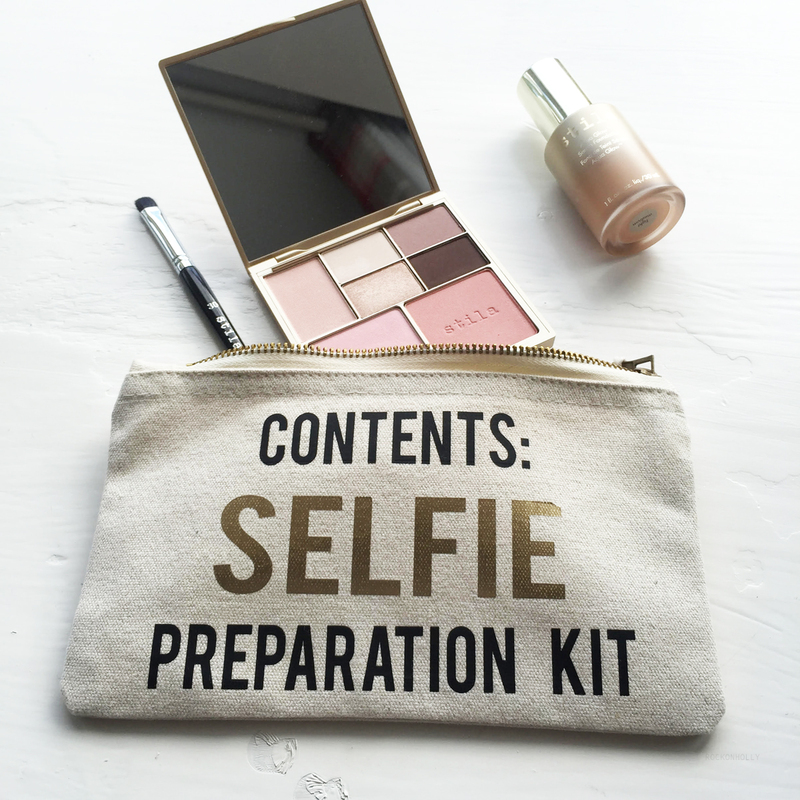 What girl (blogger) wouldn't want this in their bathroom? I'd love to know which of the fun Hand wash scents is your fave... Let me know! "Ladies... 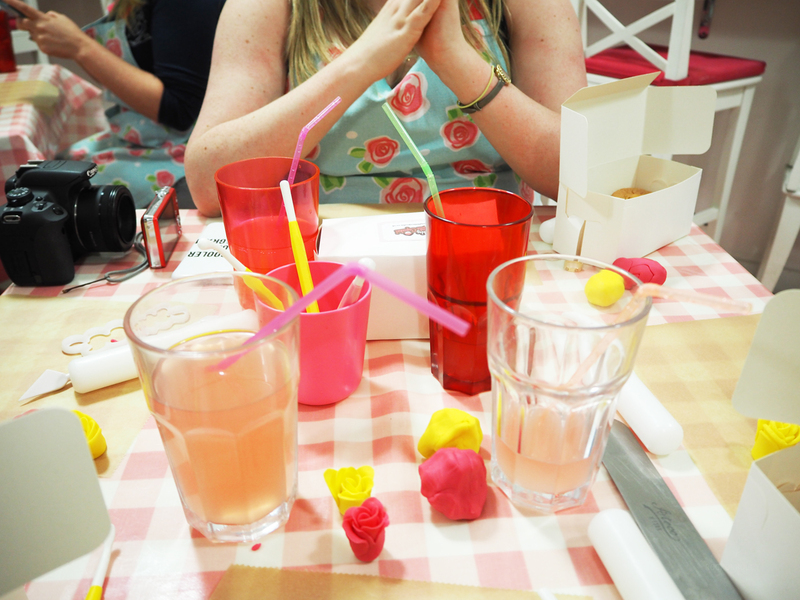 If you won £5,000, what's the most pout-rageously indulgent way you'd spend it?!" Now that, is the 5 grand question. 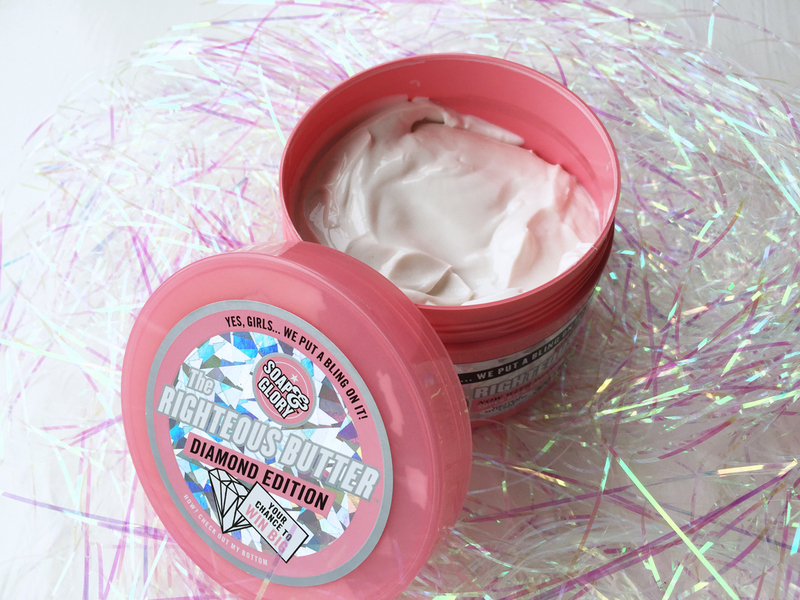 And that's the question that Soap and Glory are asking following the release of their Limited Edition Righteous Butter - the diamond edition. 4 lucky girls (or guys!) 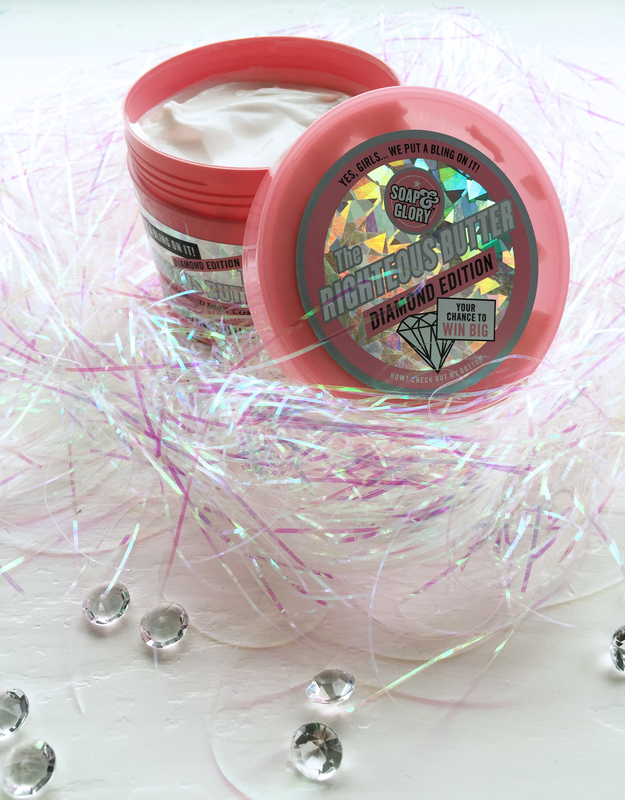 will win a whopping £5k in the Soap and Glory "Diamond Dust" prize draw, where the ultimate prize is an ACTUAL. REAL. DIAMOND. A large 300ml tub of Righteous Butter is only £8 - and this stuff is SO rich, that should definitely last you a while! 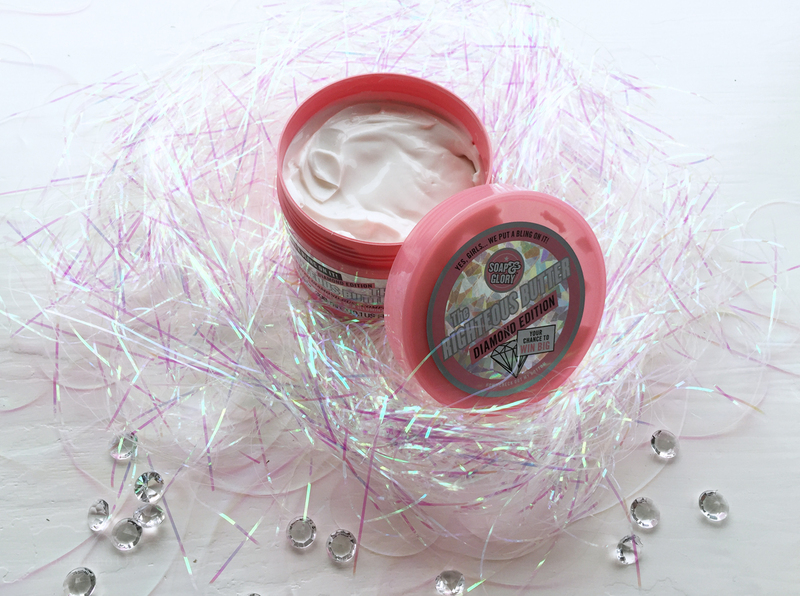 This body lotion is so awesome it's won a helluva lot of awards and really leaves your skin super soft and smooth. 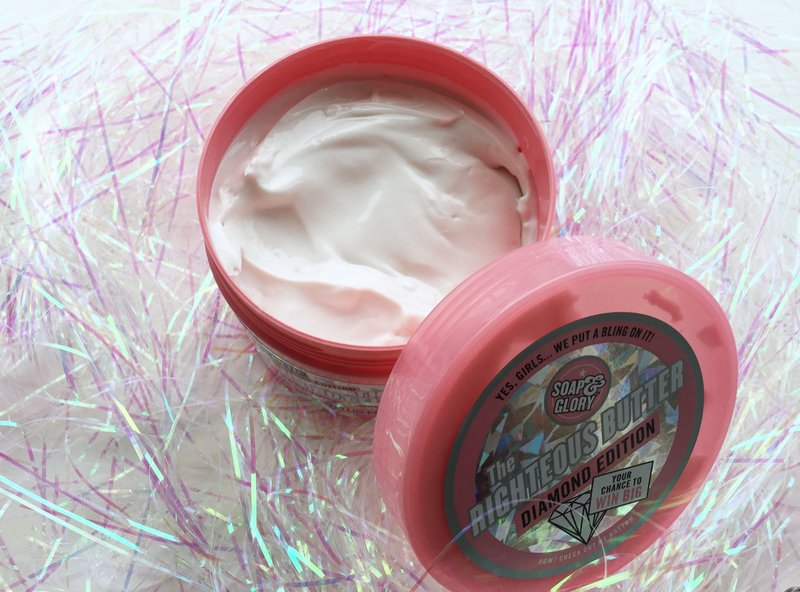 FYI, the diamond edition also includes a lovely pearlescent shimmer to give your skin a gorgeous radiant glow. *The Righteous Butter was sent to me as a PR sample, but I chose to share the comp with you as I think it's pretty darn cool. All views are my own - so yes, it really does smell delicious and leaves your skin feeling pretty lovely. 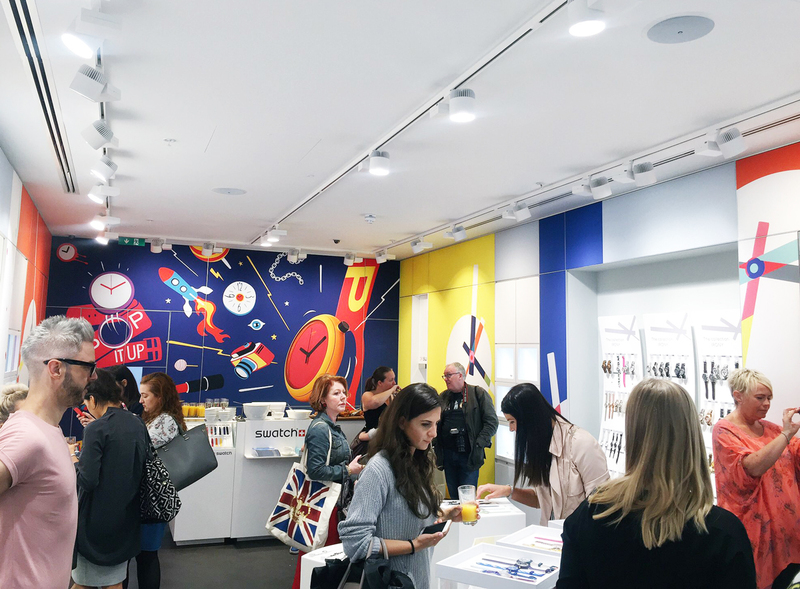 I was invited down to the NEW Swatch store in Manchester Arndale this week, to check out all of the shiny newness - including a sneak preview of some of the super cool designs coming up this A/W. (Little clue - if you're a cat lover, you're gonna love these). 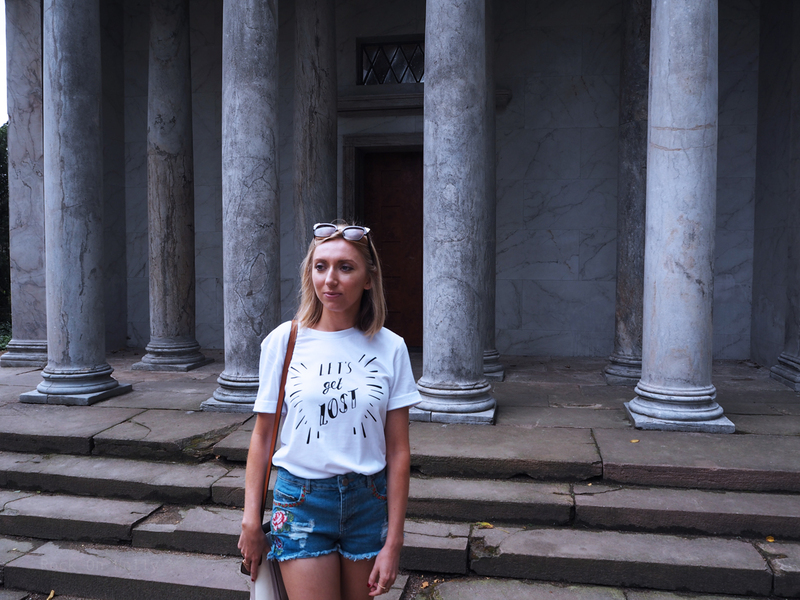 The new store is situated on the lower ground of the Manchester Arndale Mall, conveniently near Topshop, River and all my other faves. 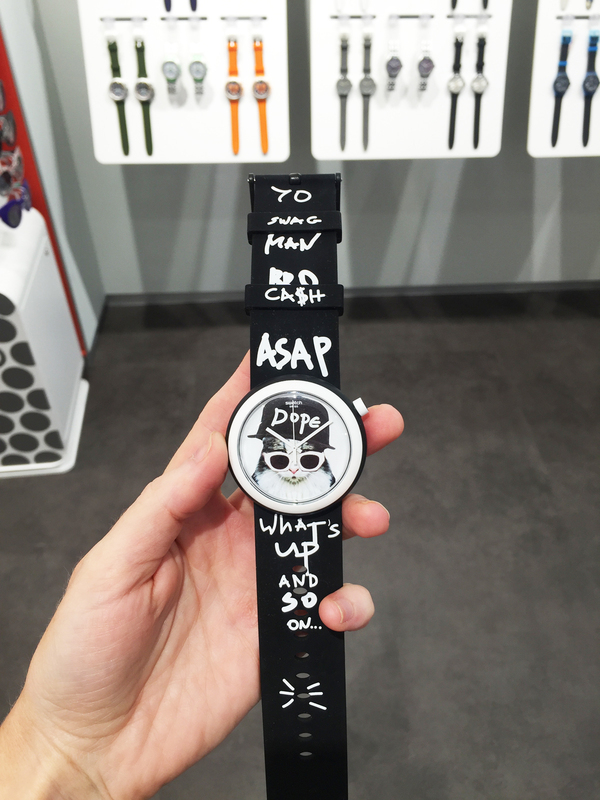 When you're a kid and looking for a watch, you don't really think about price or fashion. You just want something that's nice and colourful and does the job. 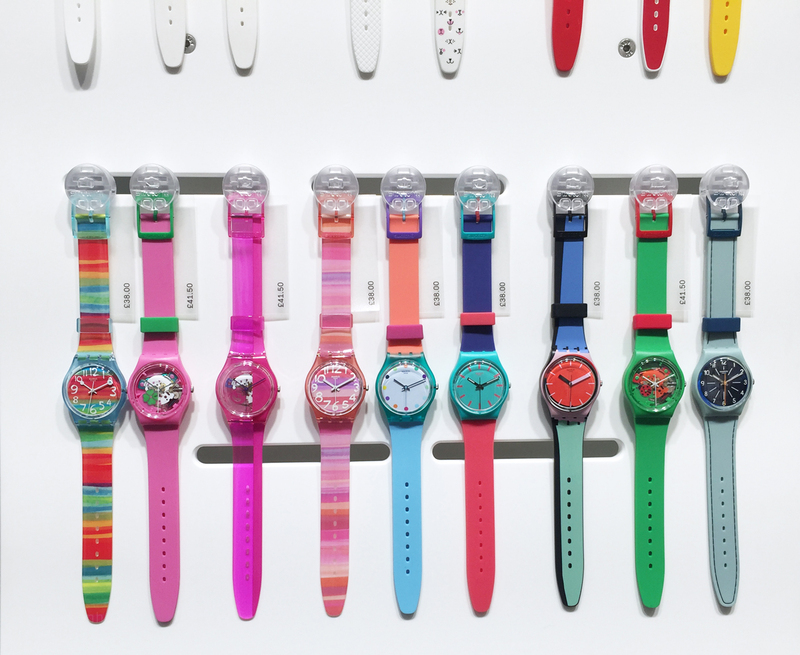 Well Swatch do all this - and more. They have a HUGE range of seriously funky time pieces (see above) and I was very impressed with how reasonably priced they were?! I mean, these are quality, Swiss watches!!? Crazy. 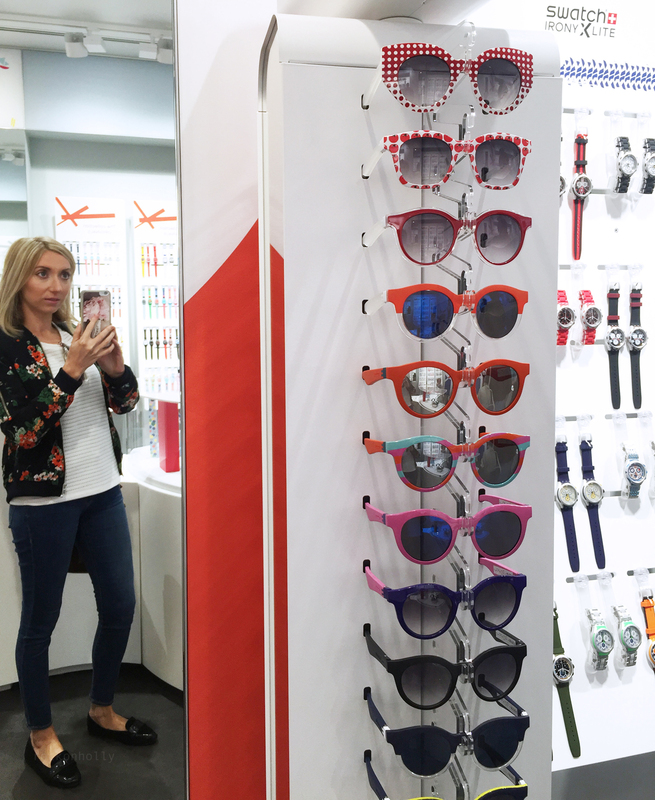 I was also pretty surprised to see that Swatch also do sunglasses - and pretty nice ones too!! Like, really nice actually. Top Tip - The front part of the sunglasses clips off so you can change the look and colour of your frames! Amazing!! I was very lucky to be able to come away with a Swatch watch of my very own - I had to choose this floral red Roetli piece as it's so gorgeous (although I have to admit, I was tempted by another Flik Flak watch..) It's just £38 and is so, so comfortable to wear. 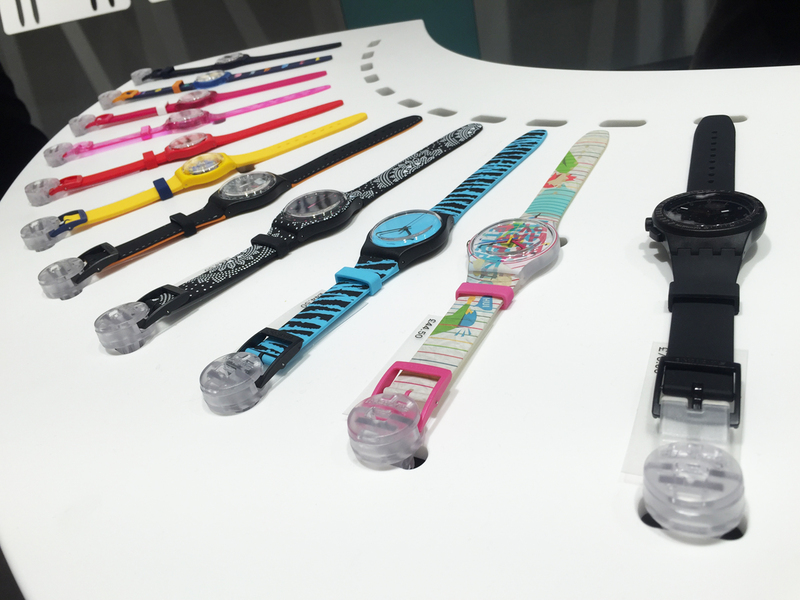 I though that the rubber strap might be quite stiff, but it's really soft and lightweight. 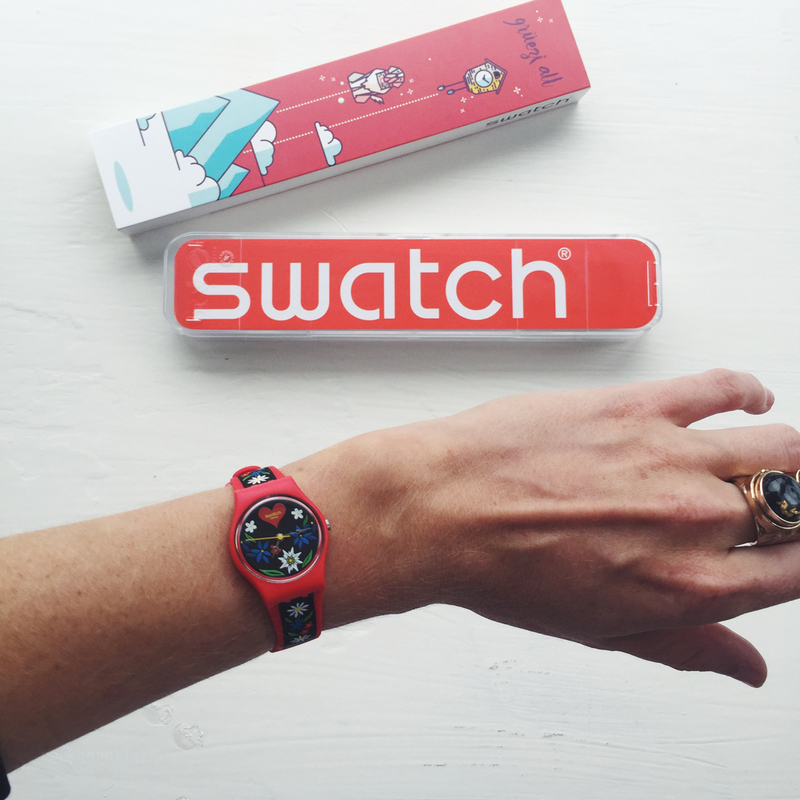 You can shop Swatch online or in the Manchester Arndale - I'd highly recommend going into the store as you can really get a better feel for the watches sizing and quality. 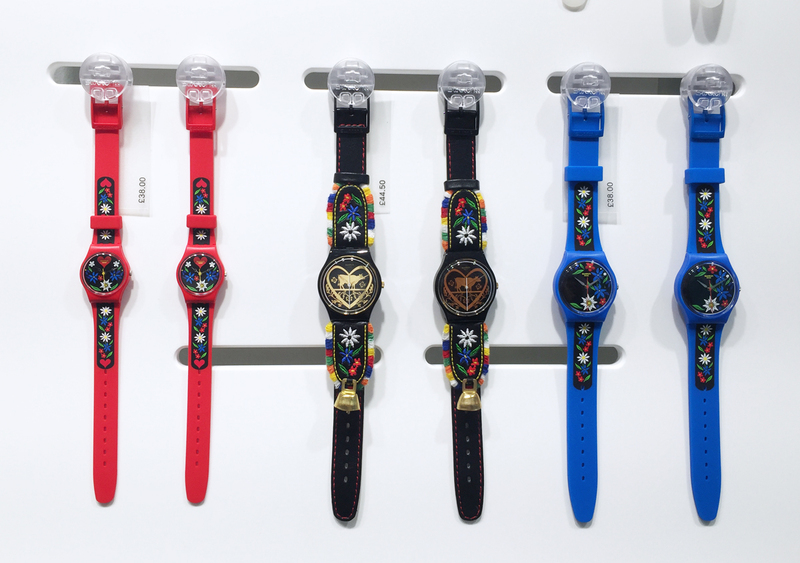 Which watch is your fave? ?